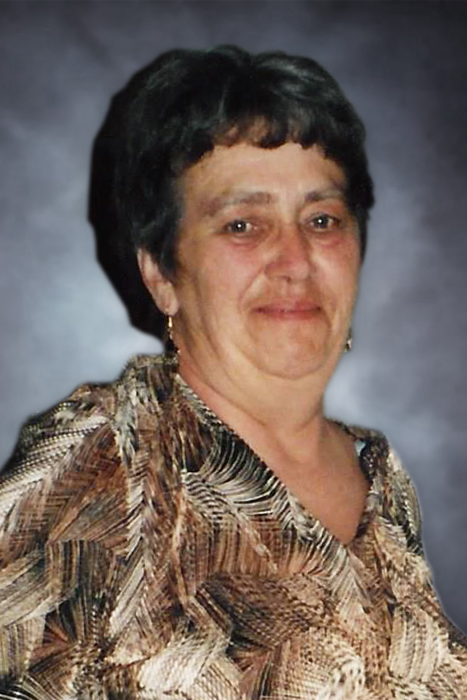 Obituary for Linda Wright | Binkley's Funeral Service Ltd.
Linda Wright (nee Bick) passed away on January 18, 2019, surrounded by her loving family at the Maple Creek Hospital. She was the youngest child, born to Clarence and Aleta Bick in Kerrobert, Saskatchewan on November 5, 1946. Linda leaves to cherish her memory her husband, Ken Wright; her children - Jennifer Wright and Andrew (Mindy) Wright; her grandchildren - Casper (Ally) Hoffman and Walker Hoffman, Bryn, Caleb and Cohen Wright; her great granddaughter - Paislee Hoffman; her brothers - Don (Erma) Bick and her twin brother Lorne (Kerry) Bick; her sister-in-laws - Dorothy (Bob) Buck and Marilyn (Rob) Nelson, in addition to several nieces and nephews. She was predeceased by her mother and father, sister Gwen and brothers, Doug and Les. She attended school in Kerrobert and eventually made her way to Piapot. She married Ken in 1972 and they lived on the family farm until 2017, when they retired to Maple Creek. She was active in Eastern Star, the Sidewood Social Club, Cowboy Poetry and had a passion for puzzles, gardening, brass bells and loved music, especially barbershop quartets. One of her favourite things was to go to auction sales and garage sales, returning home to show off all the treasures she found. She rarely missed a Roughriders game on t.v. and could often be heard yelling at the players on the screen. She loved all sports that her children and grandchildren were involved in and was an avid curling fan. One of her highlights was attending the World Curling Championships. Linda was an extraordinary quilter and made quilts for various grandchildren, nieces, nephews and friends. She was a very giving person who was always willing to help in any way that she could. She was never afraid to voice her opinion, start a conversation with anyone, knew everything that was going on in the neighbourhood and will be deeply missed by all that knew her.